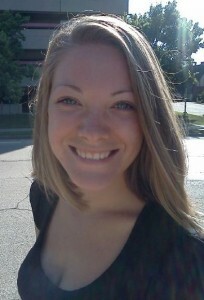 Amber Buening is helping to plan Compassionate Action for Animals' July 14 Twin Cities Veg Fest. We talked to her to get to know her better and to find out what her role in the Veg Fest is. CAA: What is your role on the Veg Fest team? Amber: I'm the Twin Cities Veg Fest Volunteer Coordinator. CAA: What do you enjoy doing in your free time? Amber:I like watching movies, reading, cooking (and trying new vegan recipes), trying new restaurants (especially veg-friendly ones), biking, running, traveling, and exploring new places! CAA: How did you get involved in planning the Veg Fest? Amber: Since I recently moved here (Sept. 2010) and recently became vegan (Summer 2011), I wanted to be more involved with CAA in general to meet other vegans/vegetarians and make some new friends with similar ideals! I thought helping to plan such a big event would be a great way to contribute to an amazing organization and meet lots of great people! CAA: What have you enjoyed the most so far? CAA: What are you most looking forward to at the Veg Fest? Amber: The Veg Fest is going to be epically awesome! I really can't wait. I think what I'm most looking forward to is seeing all the different vendors giving free samples to tons of attendees and introducing them to vegan choices that are easy to make. CAA: Who/what species is you favorite animal? Amber: Pugs are my favorite companion animals, and zebras are my favorite wild animals. Thanks Amber for talking with Compassionate Action for Animals! Be sure to check out our sponsorship and volunteer pages to find out how you can help make the TC Veg Fest a success!